With the MC55A0 Series, managers and task workers who spend their days inside your company walls have everything they need to take instant action, anywhere in your facility — indoors and outside. When it comes to meeting the needs of your workforce, the MC55A0 excels, offering the right level of features, the right level of rugged design and support for the most demanding business applications. The result? Workers in retail, hospitality, manufacturing, healthcare and government agencies can complete more tasks more accurately in less time, improving productivity and customer care. And with healthcare friendly colors, MC55A0-HC brings mobility to point-of-care applications, helping nurses and other caregivers eliminate errors at the patient bedside to improve the quality of care — and the patient experience. The MC55A0 Series is the perfect blend of form and function. The comprehensive capabilities allow workers to scan bar codes; snap pictures; view videos; access business applications, the Internet and email as well as make and receive private and push-to-talk voice calls. The compact and lightweight mobile computer is easy to carry and easy to use, with a sleek design that is equally at home in front of customers and patients. The MC55A0 Series is built to last, giving workers a device they can count on and businesses a maximum return on investment (ROI). This rugged device family is built for use inside your buildings as well as outdoor areas of your facilities — and our toughness tests prove it. The MC55A0 delivers outstanding performance, even after exposure to heat, cold, dust, water — and 1,000 consecutive tumbles in our rotating tumble drum. And all models can be sanitized with many common cleaners without harming the housing or the sensitive electronics, helping prevent the spread of bacteria to patients and caregivers in a hospital as well as shift workers in other industries where devices are shared. Give your workers the best in class mobile application performance, even for the most demanding multimedia applications. Packed with the latest in technology, our powerful platform offers the most current mobile operating system for the enterprise, as well as the fastest processor and largest memory footprint in this device class. Four scanner options let you pick the model that will deliver the best performance for your organization. Our SE960 1D laser scan engine provides best-in-class performance for 1D bar codes, including near contact to medium range decoding of even the widest bar code. And the three variants of our revolutionary SE4500 2D imager deliver true laser-like performance and omnidirectional scanning of both 1D and 2D bar codes. 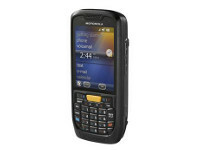 The SE4500-SR offers the best range on medium and low density 1D and 2D bar codes. 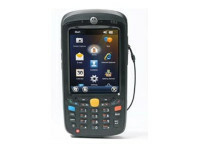 The SE4500-DL is optimized for medium to high density bar codes in addition to the bar codes found on driver’s licenses and other identification documents — ideal for border crossings as well as the healthcare and electronics industry. Our DPM option, the SE4500-HD, is tailored for very high density bar codes as well as virtually any direct part mark (DPM) — including dot peen, laser etch, ink mark, chemical etch, inkjet mold, cast and thermal spray — enabling automotive and aeronautics manufacturers to easily track and trace every part to improve safety and comply with government regulations. And if you need to capture photos, videos, or documents in addition to bar codes, no problem — just add our high-resolution 3.2 MP autofocus color camera. Wireless solutions create an instant concern for businesses and government agencies — data security. 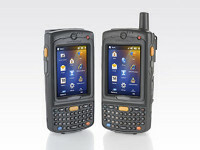 In addition to standard support for all the latest wireless authentication and encryption protocols and Motorola’s tested and certified Virtual Private Networks (VPNs), the MC55A0 adds native FIPS 140-2 Level 1 certification, bringing government grade security to businesses and government agencies alike. Unlike many other mobile computers, our security features protect your data and productivity, without impacting performance. Get real value with our business-class implementation of the accelerometer. We start with the typical ability to automatically switch the display between portrait and landscape modes based on device orientation, and build from there. Right out of the box, you can get the power saving functionality that helps ensure full shift operation on a single battery charge. With just a few clicks, you can configure the device to enter sleep mode if movement is not detected in a specified period of time, or if the display is face down. In addition, the MC55A0 automatically detects and logs drops, helping to increase worker accountability for device condition. And the open architecture allows enterprises to integrate the accelerometer data into customized applications to improve the safety of technicians working in remote areas of your facility — and prevent device theft. 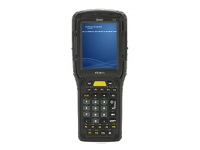 SE4500-SR: Optimized for low/medium density standard range scanning of 1D/2D bar codes. 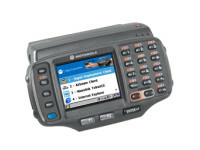 SE4500-DL: Optimized for medium to high density 1D/2D bar codes as well as the specialized PDF bar codes found on drivers licenses and other identification cards – ideal for gate access and border crossings for identity management; patient wristbands and unit doses in healthcare point of care applications; and the high density codes common in the electronics industry. SE4500-HD: Optimized for very high-density 1D/2D codes and the direct part marks common in manufacturing. Tolerant to typical artificial indoor and natural outdoor (direct sunlight) lighting conditions. Fluorescent, Incandescent, Mercury Vapor, Sodium Vapor,LED: 450 Ft Candles (4,844 Lux)Sunlight: 10000 Ft Candles (107,640 Lux)Note: LED lighting with high AC ripple content can impact scanning performance. Do not apply liquid directly to the MC55A0 Series. Dampen a soft cloth or use pre-moistened wipes. Do not wrap the device in the cloth or wipe, but gently wipe the unit. Be careful not to let liquid pool around the display window or other places. Allow the unit to air dry before use. Many vinyl gloves contain phthalate additives, which are often not recommended for medical use and are known to be harmful to the housing of the MC55A0 Series. The mobile computers should not be handled while wearing vinyl gloves containing phthalates, or before hands are washed to remove contaminant residue after gloves are removed. If products containing any of the harmful ingredients listed above are used prior to handling the MC55A0 Series, such as hand sanitizers that contain ethanolamine, hands must be completely dry before handling the MC55A0 Series to prevent damage to the plastics.